The school in the heart of Aberdeen follows his first in the Stirlingshire village where he grew up. 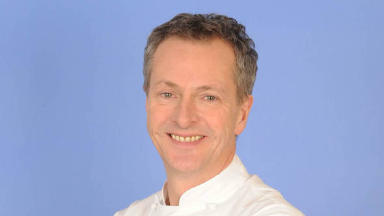 TV chef Nick Nairn has opened his second cookery school in Scotland. The well-known chef travelled to Aberdeen on Wednesday to open the doors to his new school for the first time. The £500,000 Nick Nairn Cook School, on Back Wynd in the heart of the city, promises to deliver "two floors of foodie heaven". The school is open to the public from Saturday. Classes are available to book online, with the first classes due to be held at the new facility on May 20. Mr Nairn is due to make a personal appearance to teach his first Aberdeen cookery class on June 8. He is also expected to travel to the north-east to take more classes on August 28 and 29 and September 13 and 14. He said: "We have a disproportionate number of people coming to our existing school from the north-east, so an Aberdeenschool seemed a natural progression. "Also, the north-east is a farming community and some of the finest produce comes from here. "We have found that cooking enthusiasts from this area are passionate about developing their skills and particularly enjoy entertaining at home. They can commit time to learning due to their working patterns and disposable incomes." The TV chef is providing a range of classes, from all-day cooking experiences, to urban quick cook classes, allowing people popping in at lunchtime or after work to take part in a "short, sharp cooking lesson", and a cook shop. 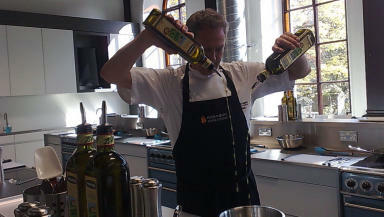 The cookery school had originally been planned as part of a luxury golf and tourism resort at Inchmarlo, near Banchory. The new school employs ten people, as well as two well-known chefs.